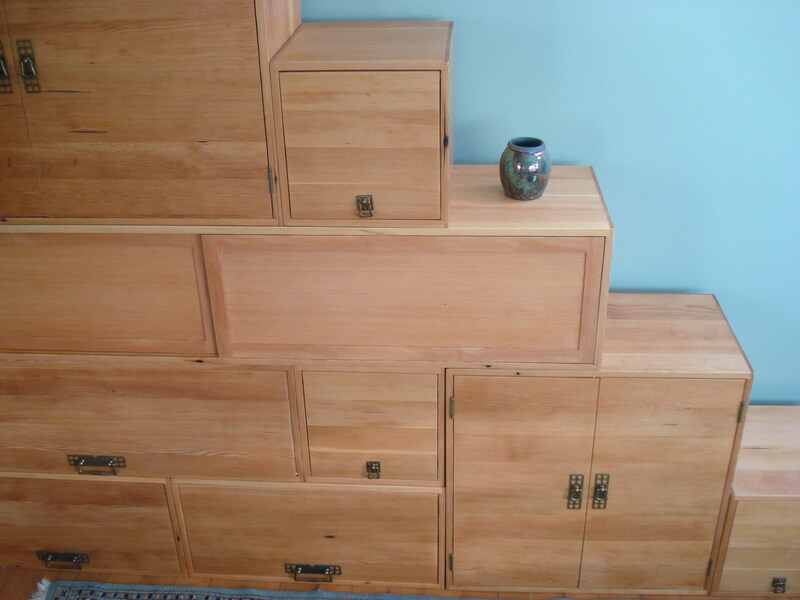 I have always loved Japanese Tansu boxes. 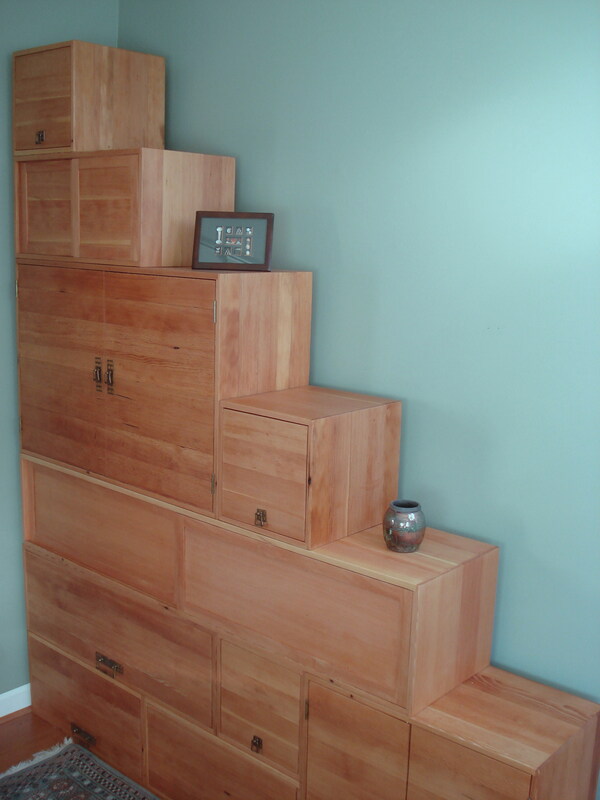 They are utilitarian (traditionally providing access to a loft), practical (they can be moved easily to a new village on a cart) and functional (lots of storage). The design shown here is an original. 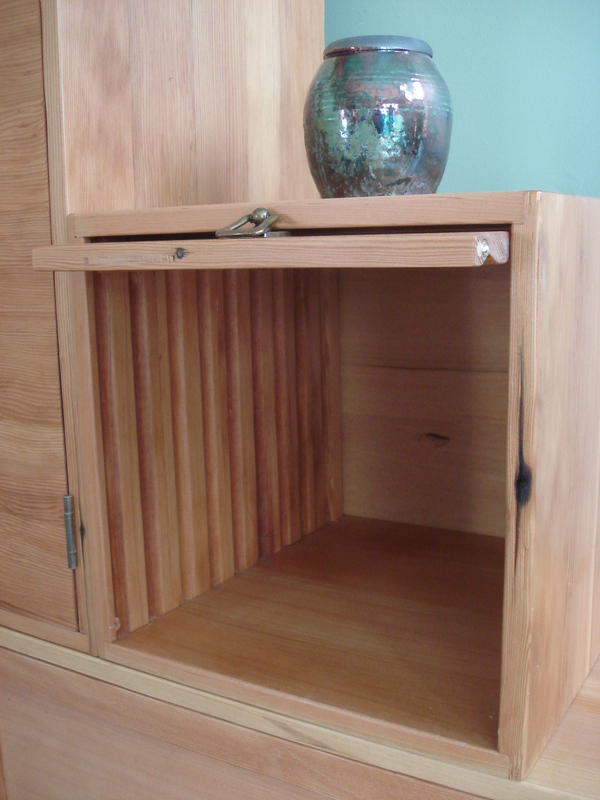 The basic unit is approximately a cubic foot however each piece was sized to meet our specific storage needs. 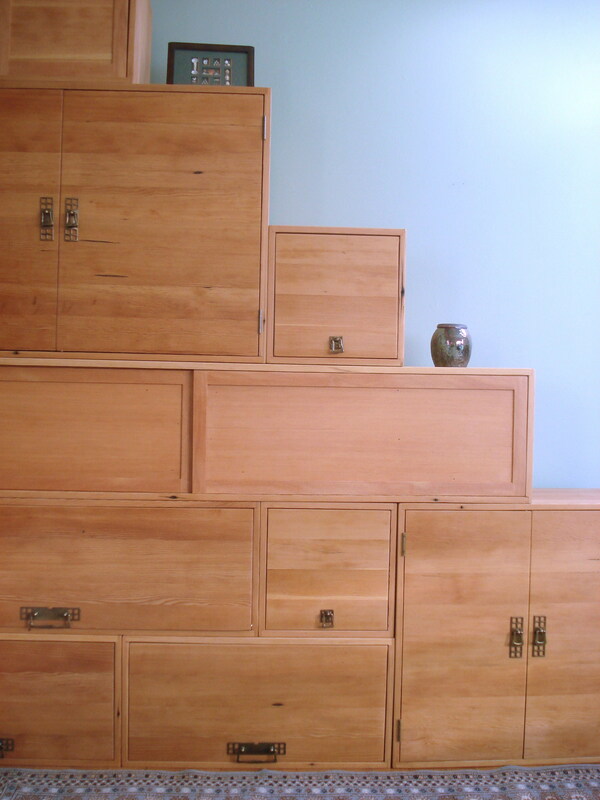 The depth was also decreased from traditional Tansu designs to fit a small room and no loft. 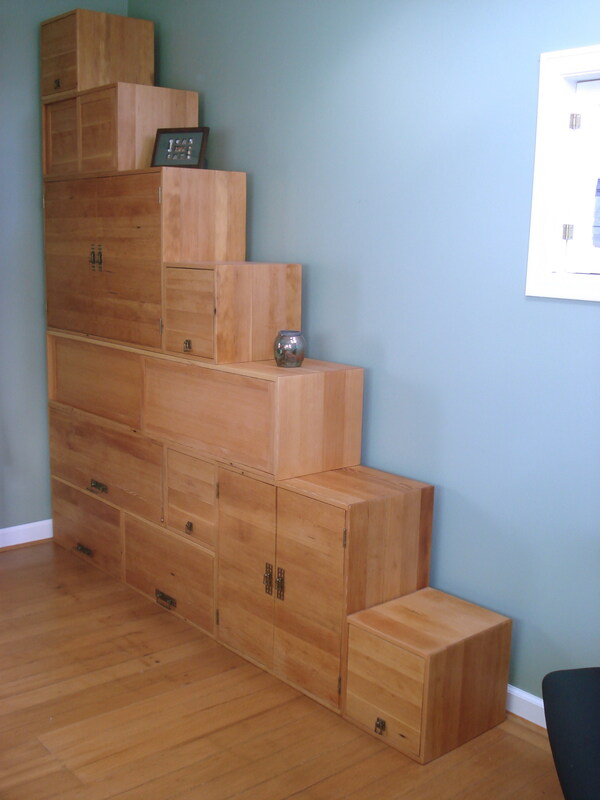 Overall, it is approximately 7’x7’ and the boxes can be mixed and matched in any arrangement; they are all independent. 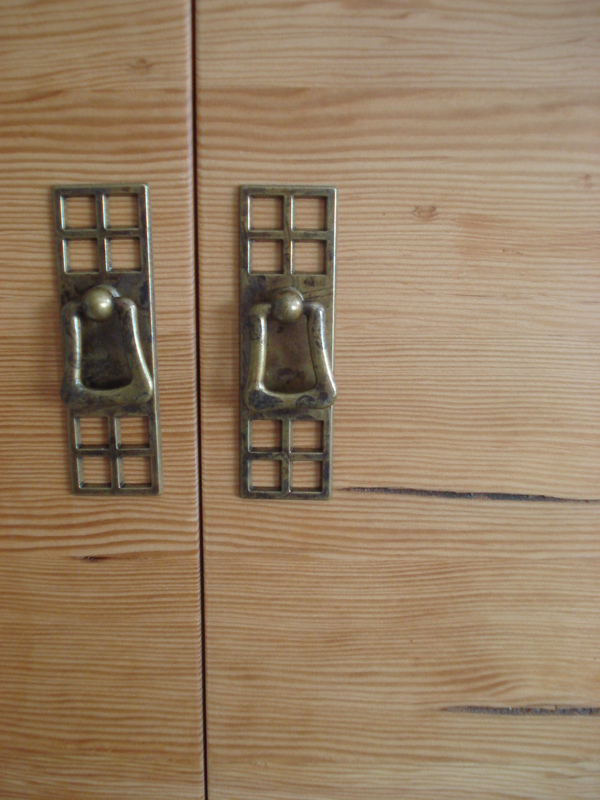 The wood is fir and, in fact, was originally the kitchen floor of fellow-woodworker Andre Zimmermann. He removed it during renovations. (You can see his new kitchen, and his exceptional kitchen island, elsewhere on the Miller Goodwood site). Like all flooring, the underside was grooved and you can see this pattern in one of the photos. All of the boxes have this pattern inside. If you wish to replicate this design, you’ll probably need several days just to remove the tongue and groove portions, glue the boards back up, and sand the undersides. You’ll also need good tweezers: 100 year old-growth edge-grained fir produces a phenomenal amount of splinters.